And I remember Chinese fragrant rubbers - they were a hit in 1970s. Yes, I remember them well! ...And a compass was a deadly object in the hands of a school child...someone was always getting "stabbed!" I don`t remember stabbing with a compass. Communist children were well-behaved and disciplined. Using a compass wrongly might land you in the principal`s office together with your parents. 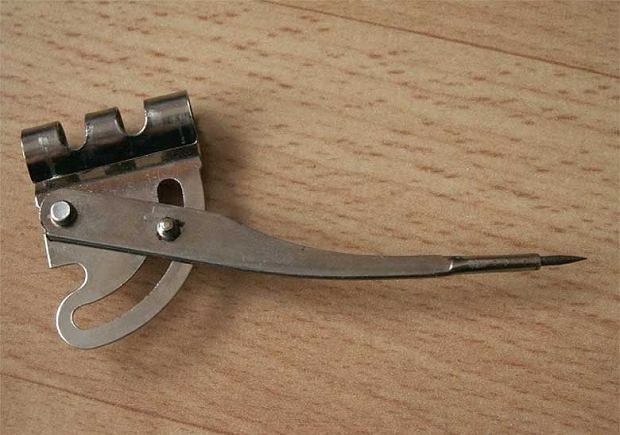 I didn`t use this sharpener because we had those metal/plastic ones with a hole. But I found one or two at home in my parents` stuff and wondered what their purpose was. I mentioned Chinese rubbers. 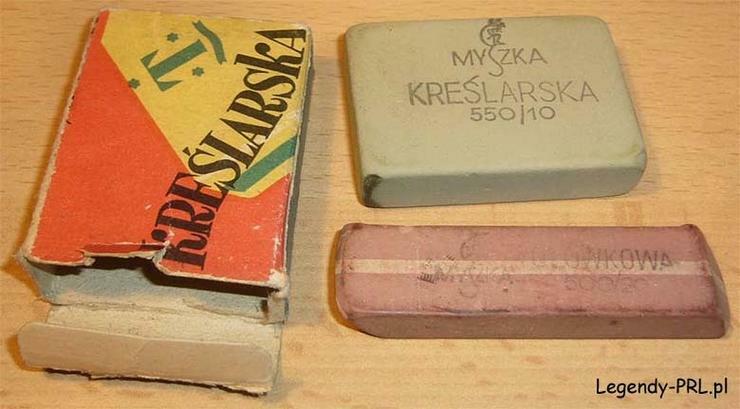 Polish ones were devoid of any fragrance, of course. Funny, they were called mice. Pupils even said: Give me a mouse. Unattractive, but durable and effective, like a Russian tank. 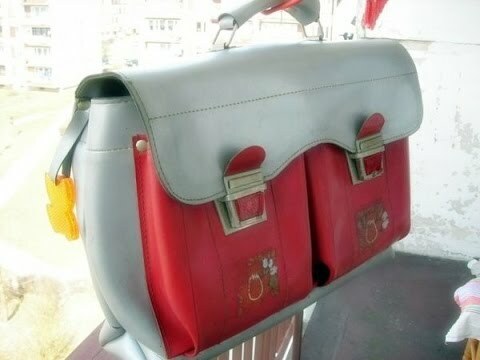 Schoolbags looked like that - I wore one, too, in elementary school. I used such pens. Those with an ink cartridge inside are still used today, but are slowly replaced by pens with a rubber.